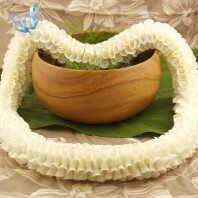 Categories: Fresh Wedding Leis, Graduation Leis, Hawaiian Flower Leis, Hawaiian Leis and Corsages, Premium Leis, Purple Leis, Specialty Leis, White Leis. 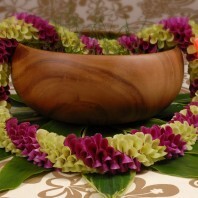 Our Hana lei is carefully made with dendrobium orchids. 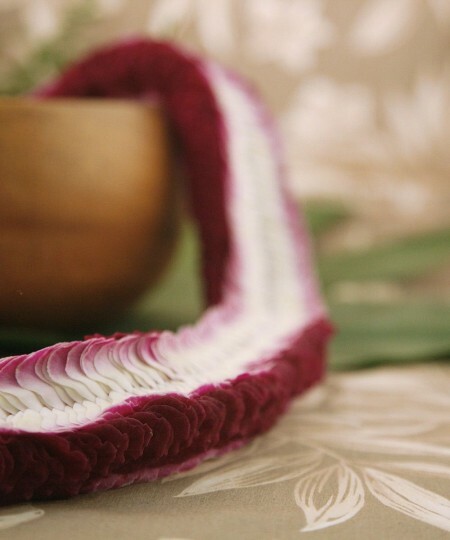 Each bloom is layered and folded to give this lei a remarkable appearance. 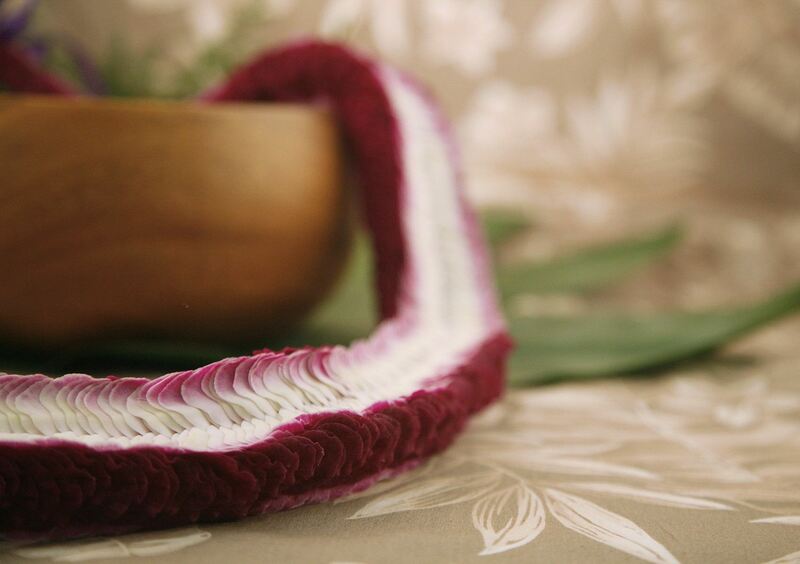 It comes in either solid white or purple with white along the edges as seen. 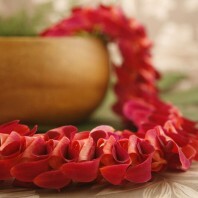 This Hawaiian lei is appropriate for men or women. 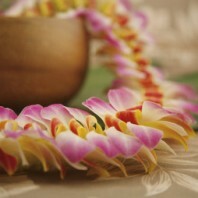 It is a local favorite and worn as a graduation lei, at a wedding or for any special occasion. 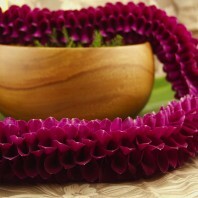 The purple style of this lei is sometimes called a Christina Lei. 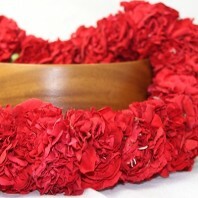 Please order in advance. 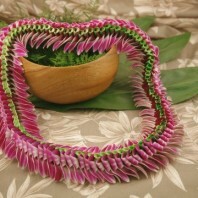 This lei takes a bit of time to make as you can see from the detailed work. 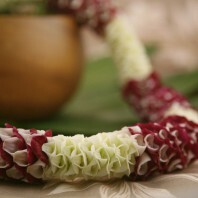 Again our lei makers fold and weave your lei petal by petal using only the most perfect of blooms. 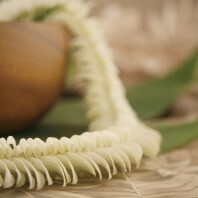 The Hana lei is full in thickness and lies flat when worn. 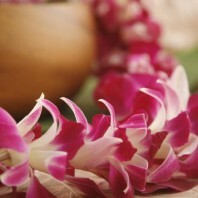 Keep the lei refrigerated in a closed bag. You can mist it with a bit of clean water when it first arrives. 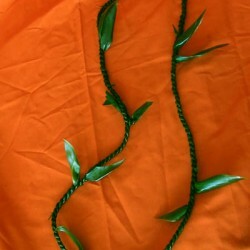 During peak graduation season this lei may only be available in purple.